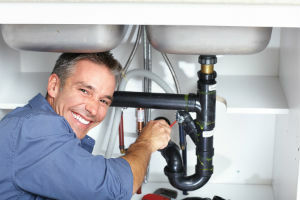 A serious concern that many West Hills, CA home owners have is the fact that they have a hard time finding plumbers who are reliable and come out when needed. However, we can be contacted 24 hours a day, 7 days a week at (323) 745-2839 for any and all of your plumbing repairs, maintenance or installation requirements – regardless of whether it is an emergency or not. Our team of plumbing experts will not only ensure that they keep their scheduled appointment with you; all of them possess the expertise and knowledge to ensure that installations or repairs are carried out in accordance with current industry standards. Homes and business properties that are more than a decade old will usually need to have various forms of plumbing maintenance performed, such as replacing worn faucets or even water heating units. Although these can be quite costly to replace, the damage that a worn or leaking water heater can cause will cost far more in the form of ruined ceilings, closets and flooring. It is also essential to ensure that these devices are installed by a West Hills plumbing company that is registered and experienced. All of the plumbers in our team are fully registered and are therefore able to perform tasks like these easily and professionally. A single water leak can cost property owners thousands of dollars if left undetected for a few months – not only in water bill costs, but in potential property damage repair bills as well. When you request a West Hills plumber to perform leak detection services at your property, the task will be carried out as efficiently as possible. In addition, we are one of few companies that have the correct equipment on hand to detect slab leaks, no matter how small the leak may be. All of our plumbing technicians are also able to perform extensive drain repair and cleaning services, which ensures that your water supply remains clean and safe. Most property owners are aware that plumbing emergencies will always occur at the most inconvenient times possible. This is just one reason why we offer an emergency plumbing West Hills customers can rely on, and we do so at an affordable price as well. Regardless of what your plumbing emergency may be, we will attend to it at any time of the day or night. 24 Hour West Hills Plumbers | Schedule an Appointment Today!